What hairstyle to wear with eyeglasses? is a question pondered by young girls and women. Eyeglasses can completely alter the look and balance of ones facial features, so make sure you choose a hairstyle that works with the eyeglasses style you wear. Wearing glasses creates a whole set of hair issues that weren’t there before. Glasses tend to shorten the face. So bangs are a big no. A fringe with a long side swept can be a better choice. Frame Shape / Size: wide frames look good on long or oval face and should not get in the way of your hair style. A rounded face is normally suited with an angular frame while a square shape will be suited with a round frame. If your lucky to have a heart shaped or an oval shaped face then most glasses will suit you so you’ll have many options to choose from. A side hair parting is great for complimenting square shaped glasses. Type of Hair cut: If wear glasses during the day for work, don’t forget to carry them, when you visit your hairstylist. That way you can ensure that your haircut is one that complements your glasses. Balance, the key word: Your hairdo should stand out in balance with your frame. Glass wearers know that it’s not always so easy to pull off a fabulous hairdo, especially if one is constantly taking glasses on and off or trying to keep your hair away from your frames. You can use your glasses to divert attention from your hairstyle or draw attention to it. 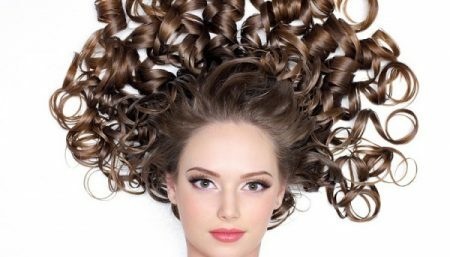 Ponytail or French twist – This type of hairstyle pulls the hair out of your face, bringing attention to the eyeglasses. This hairstyle actually looks good with any style of frames you wear. Bob Cut: A bob hairstyle looks cute with colorful frames on a small face. If you have a round face, you might want to stay away from this type of haircut because it will make your face look even more round. Side swept Bangs or Fringes: You can wear a long, side swept bang. It gives you that fringe-feel, but the bangs should be long enough that they lay well around the glasses. Long bangs can last longer in-between trims, too, so there’s no rush to get back to the salon. 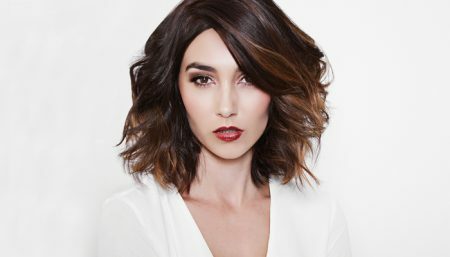 Layered-look: According to hair stylists the layered style looks good with a round face shape. It also fits well with a triangular face shape, which softens a prominent jawline. Wearing hair with lots of layers helps to hide the wide-eyeglass bump.